Competition: Where’s the Fat Paddler? 1. Get hold of a Fat Paddler logo. I can be a tshirt, a sticker, a beer cooler, something from Fat Paddler’s Zazzle Store, or simply print and cut out the logo I’ve prepared for you HERE. 2. 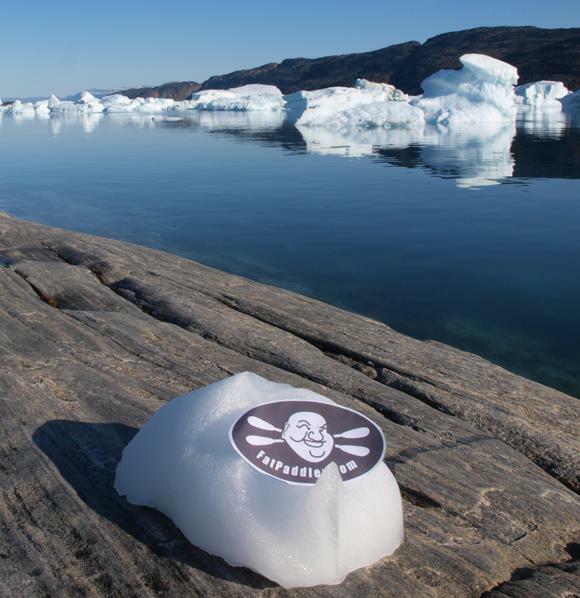 Take a photo of the Fat Paddler logo – be it in an exotic location, creatively placed somewhere it shouldn’t, or anything that you think looks good. 3. Upload your picture to the Fan Photos section of the Fat Paddler Facebook Page. 4. Write a brief description with the photo of where or what the photo is. That’s it! Entries close on Sunday 20 December (where-ever you are!) to give me time to collate and judge the two best photos to put up on FatPaddler.com. 1. A copy of the book “Crossing the Ditch” personally signed by its author James Castrission and his paddling partner Justin Jones. This book is about the first ever crossing of the Tasman Sea (between Australia and New Zealand) by kayak, and if you like how the Fat Paddler writes, then you will love this incredible story. 3. An exclusive Fat Paddler beer cooler. Would like to take one underground, but cameras aren’t allowed in an underground coal mine (at least not a normal camera anyway). Look forward to seeing the FP logo holidaying over the globe!